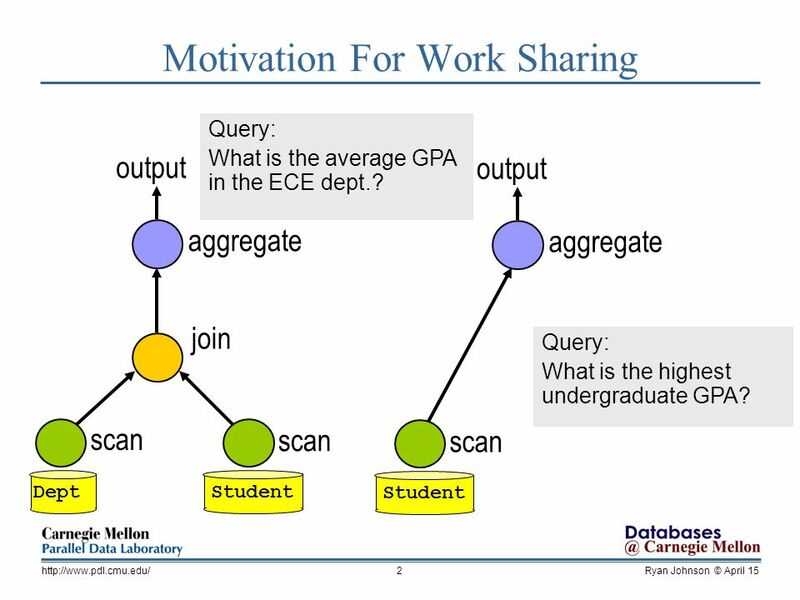 2 Ryan Johnson © April 15http://www.pdl.cmu.edu/2 Motivation For Work Sharing scan join aggregate scan output StudentDept Query: What is the highest undergraduate GPA? aggregate output scan Student Query: What is the average GPA in the ECE dept.? 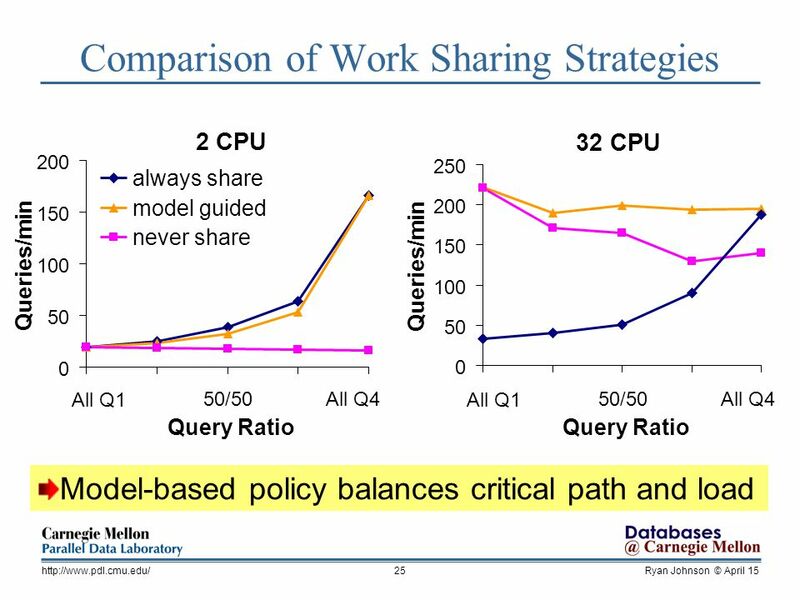 4 Ryan Johnson © April 15http://www.pdl.cmu.edu/4 0.0 0.5 1.0 1.5 2.0 0153045 Shared Queries Speedup due to WS 1 CPU 7x Work Sharing on Modern Hardware 8 CPU Memory L1 L2 core L1 L2 core L2 Memory Work sharing can hurt performance! Download ppt "To Share or Not to Share? 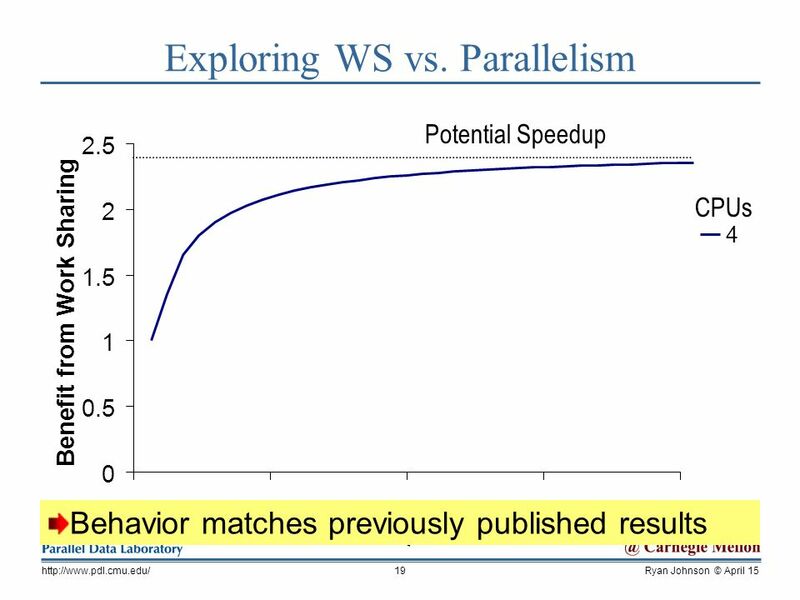 Ryan Johnson Nikos Hardavellas, Ippokratis Pandis, Naju Mancheril, Stavros Harizopoulos**, Kivanc Sabirli, Anastasia Ailamaki,"
From A to E: Analyzing TPCs OLTP Benchmarks Pınar Tözün Ippokratis Pandis* Cansu Kaynak Djordje Jevdjic Anastasia Ailamaki École Polytechnique Fédérale. Critical Sections: Re-emerging Concerns for DBMS Ryan JohnsonIppokratis Pandis Anastasia Ailamaki Carnegie Mellon University École Polytechnique Féderale. 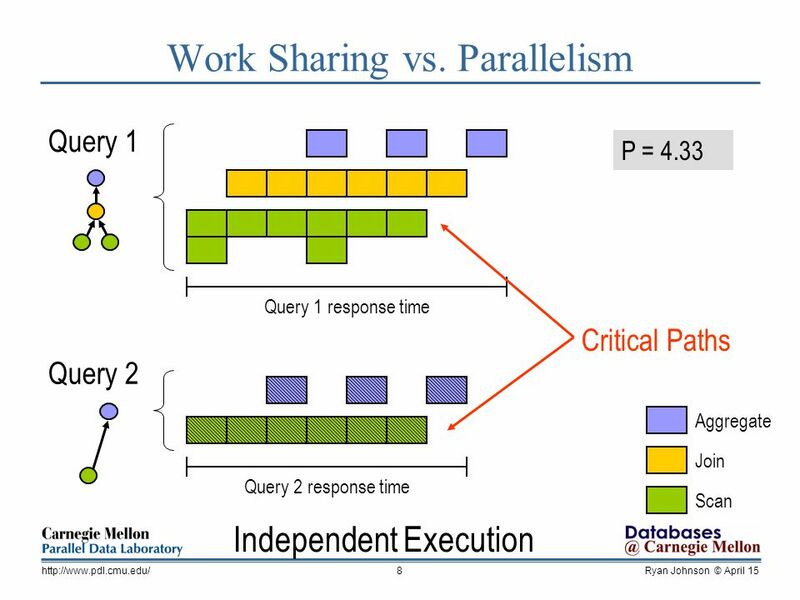 @ Carnegie Mellon Databases Data-oriented Transaction Execution VLDB 2010 Ippokratis Pandis Ryan Johnson Nikos Hardavellas Anastasia Ailamaki Carnegie. External Sorting The slides for this text are organized into chapters. 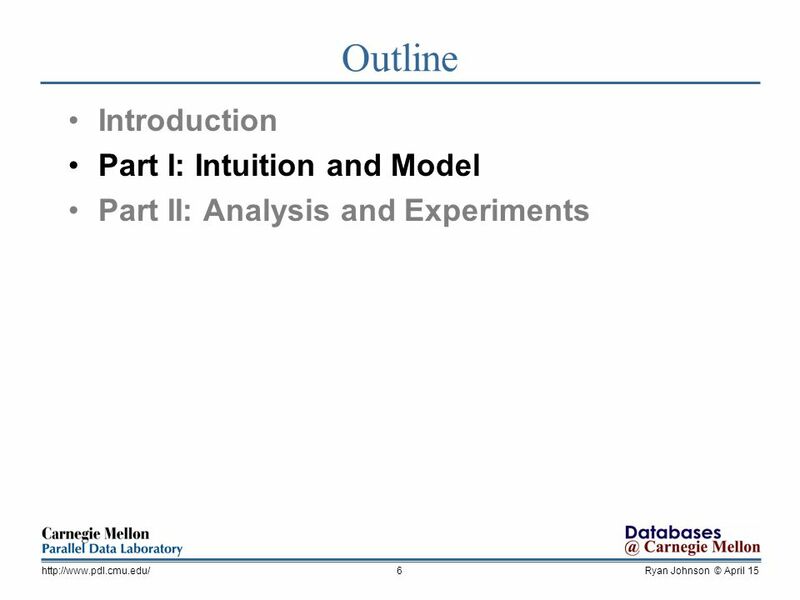 This lecture covers Chapter 11. 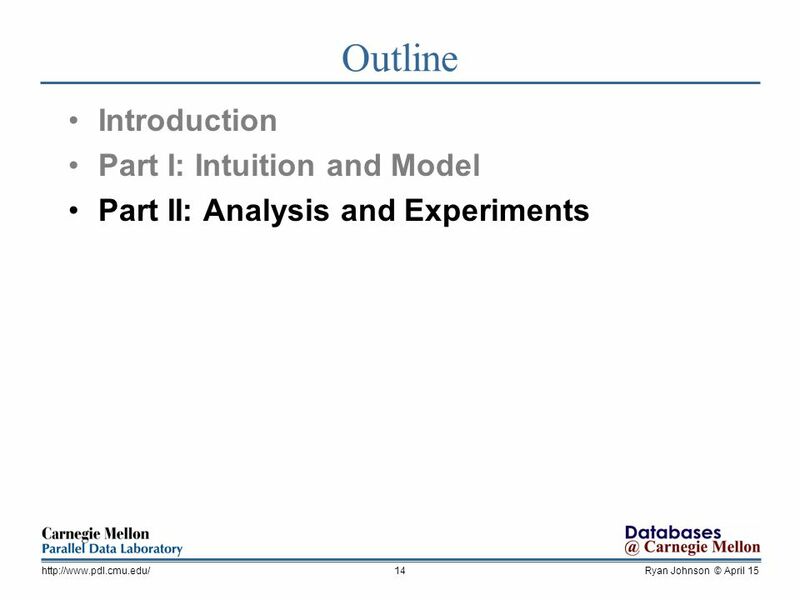 Chapter 1: Introduction to Database Systems Chapter. 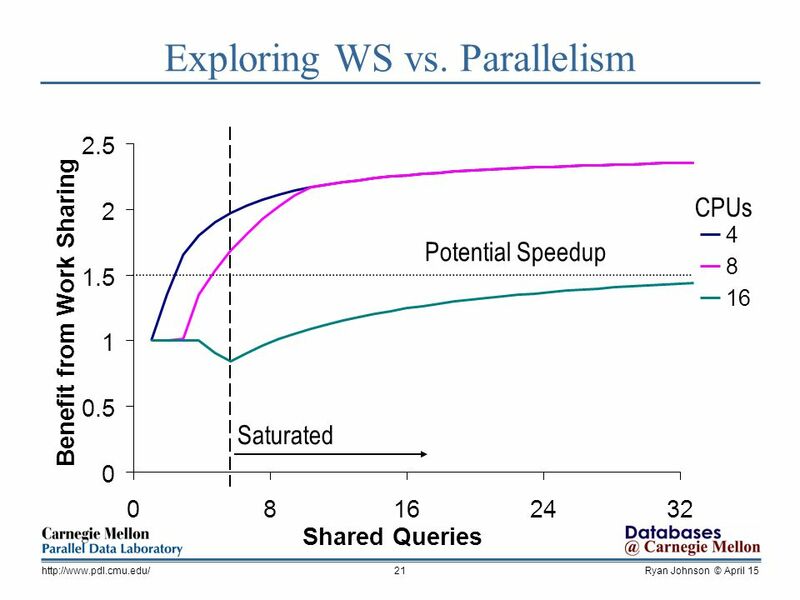 Improving OLTP scalability using speculative lock inheritance Ryan Johnson, Ippokratis Pandis, Anastasia Ailamaki. Revisiting Co-Processing for Hash Joins on the Coupled CPU- GPU Architecture School of Computer Engineering Nanyang Technological University 27 th Aug.
MIDDLEWARE SYSTEMS RESEARCH GROUP MSRG.ORG Grand Challenge: The BlueBay Soccer Monitoring Engine Hans-Arno Jacobsen Kianoosh Mokhtarian Tilmann Rabl Mohammad. 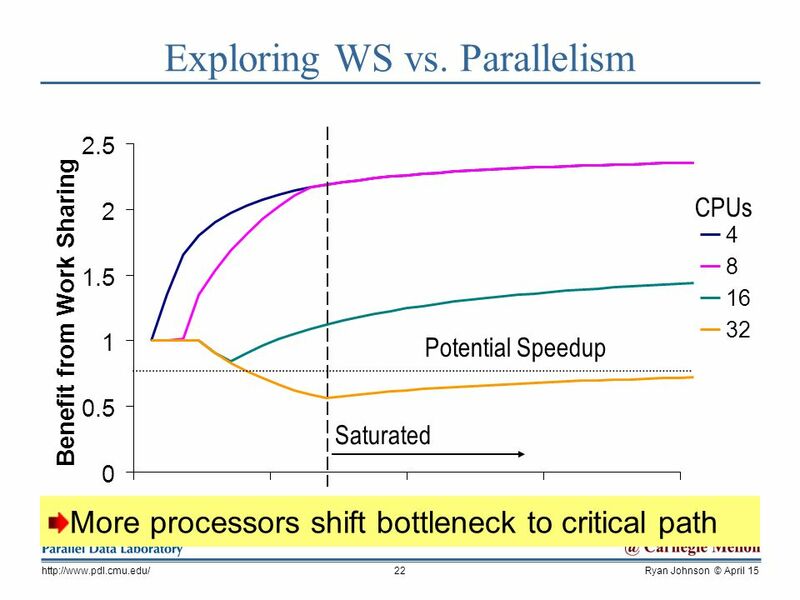 FLEXclusion: Balancing Cache Capacity and On-chip Bandwidth via Flexible Exclusion Jaewoong Sim Jaekyu Lee Moinuddin K. Qureshi Hyesoon Kim. 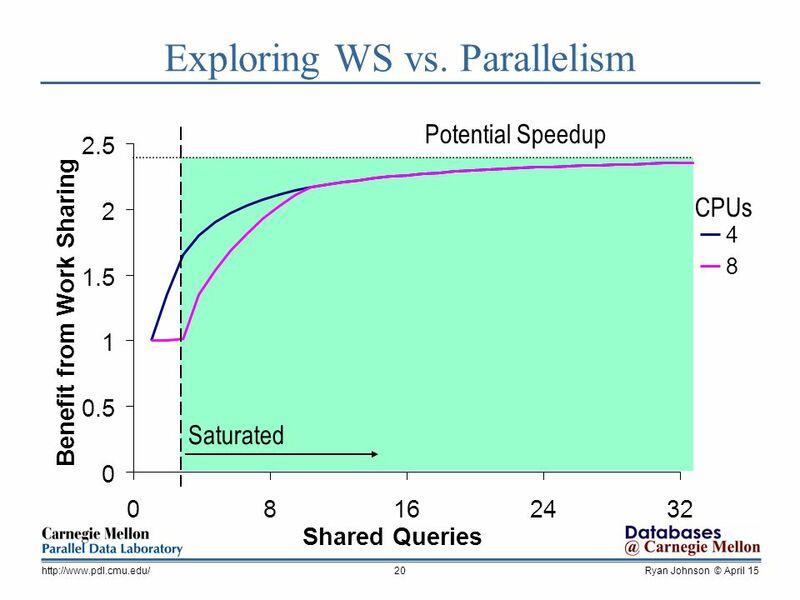 1 Database Servers on Chip Multiprocessors: Limitations and Opportunities Nikos Hardavellas With Ippokratis Pandis, Ryan Johnson, Naju Mancheril, Anastassia. 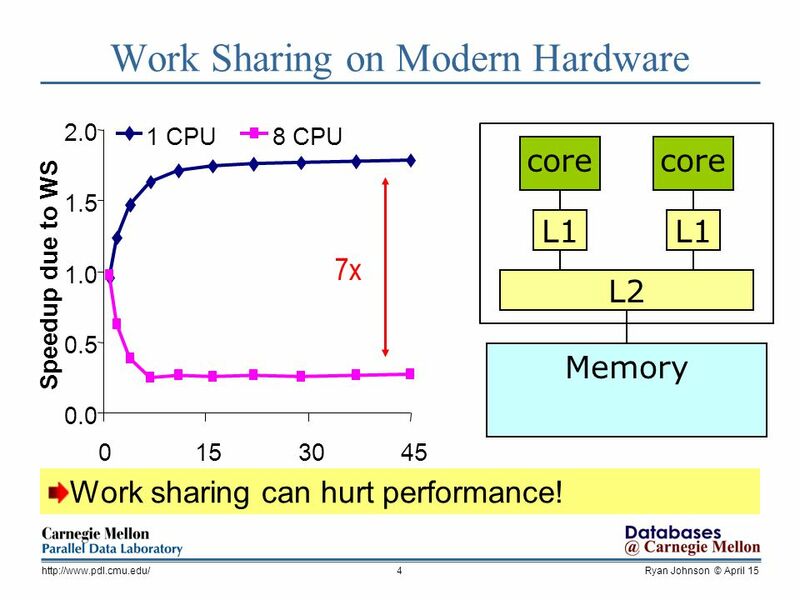 DBMSs on a Modern Processor: Where Does Time Go? Anastassia Ailamaki Joint work with David DeWitt, Mark Hill, and David Wood at the University of Wisconsin-Madison. 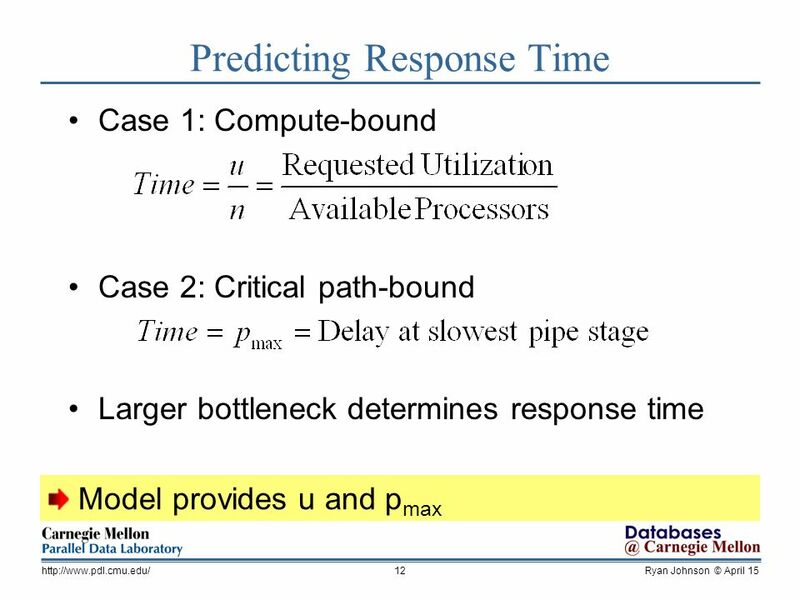 Scalable Multi-Cache Simulation Using GPUs Michael Moeng Sangyeun Cho Rami Melhem University of Pittsburgh. 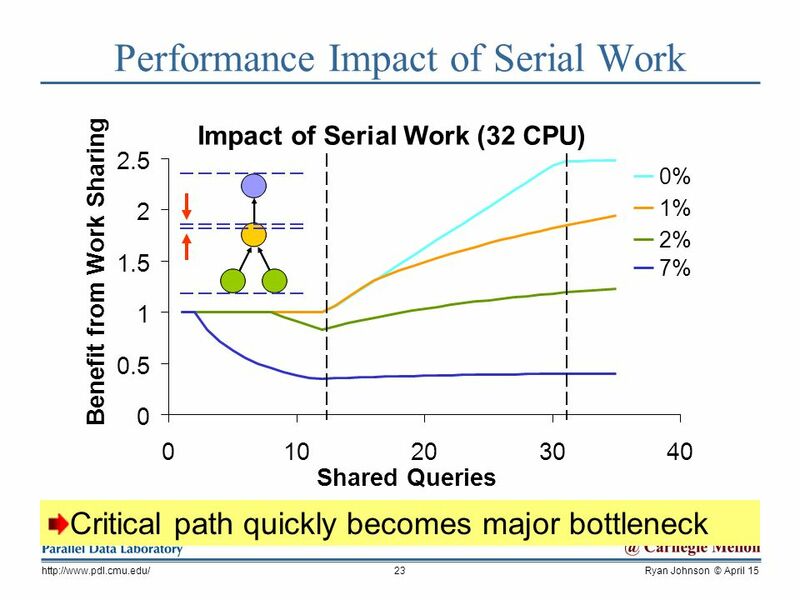 PERFORMANCE ANALYSIS OF MULTIPLE THREADS/CORES USING THE ULTRASPARC T1 (NIAGARA) Unique Chips and Systems (UCAS-4) Dimitris Kaseridis & Lizy K. John The. Erhan Erdinç Pehlivan Computer Architecture Support for Database Applications. 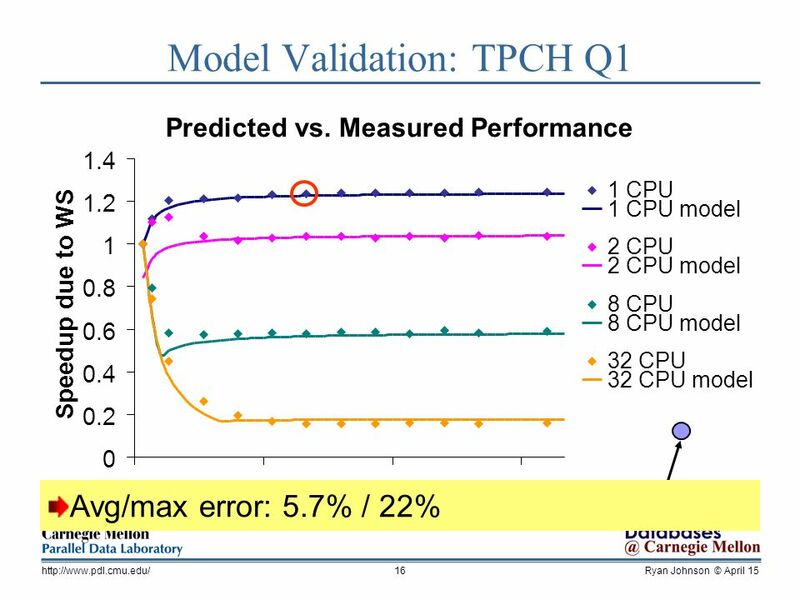 Teaching Old Caches New Tricks: Predictor Virtualization Andreas Moshovos Univ. of Toronto Ioana Burcea’s Thesis work Some parts joint with Stephen Somogyi. 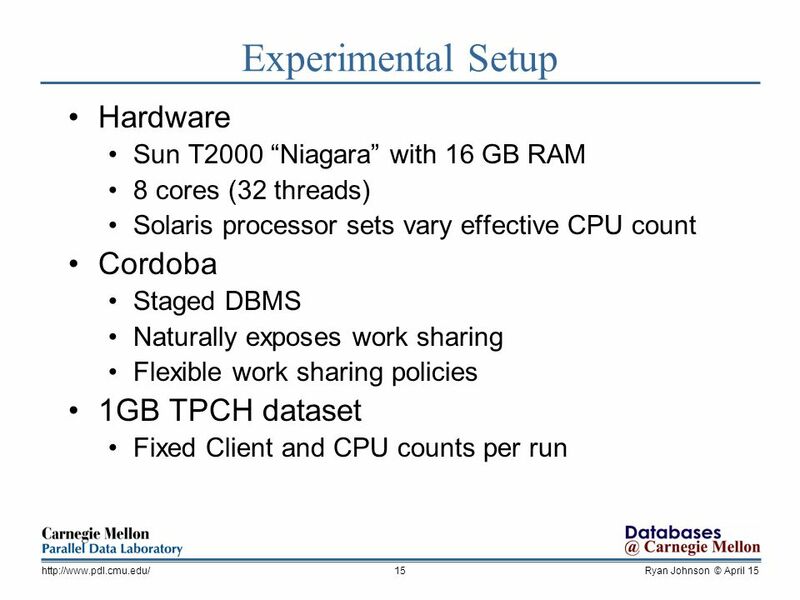 Introductory Courses in High Performance Computing at Illinois David Padua. 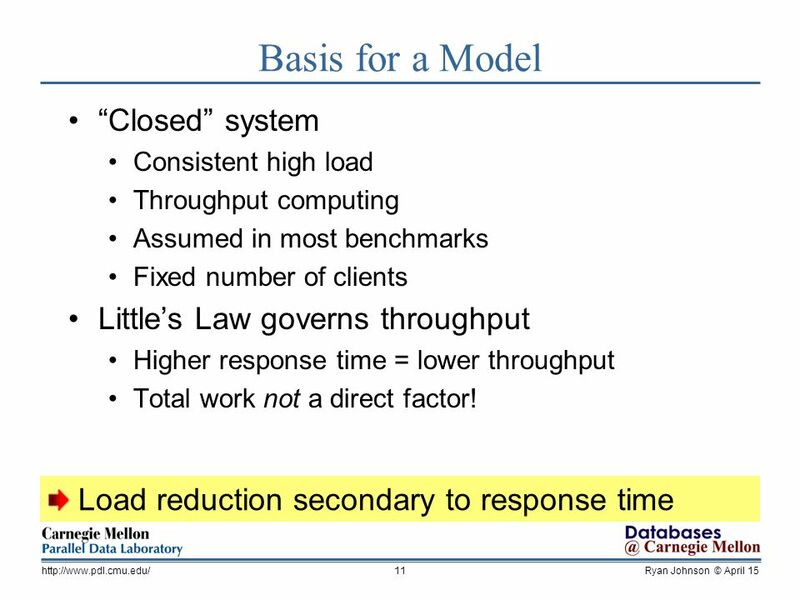 Distributed Process Scheduling Summery Distributed Process Scheduling Summery BY:-Yonatan Negash. 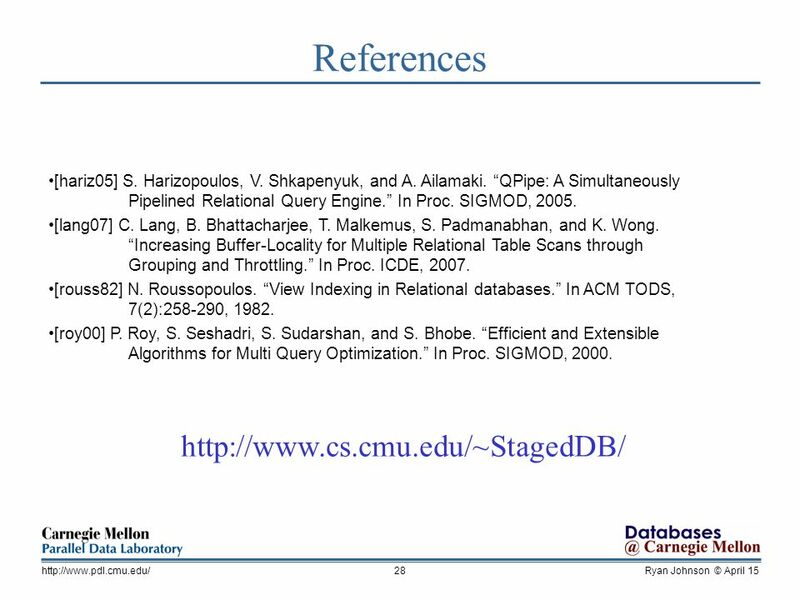 External Sorting CS634 Lecture 10, Mar 5, 2014 Slides based on “Database Management Systems” 3 rd ed, Ramakrishnan and Gehrke. 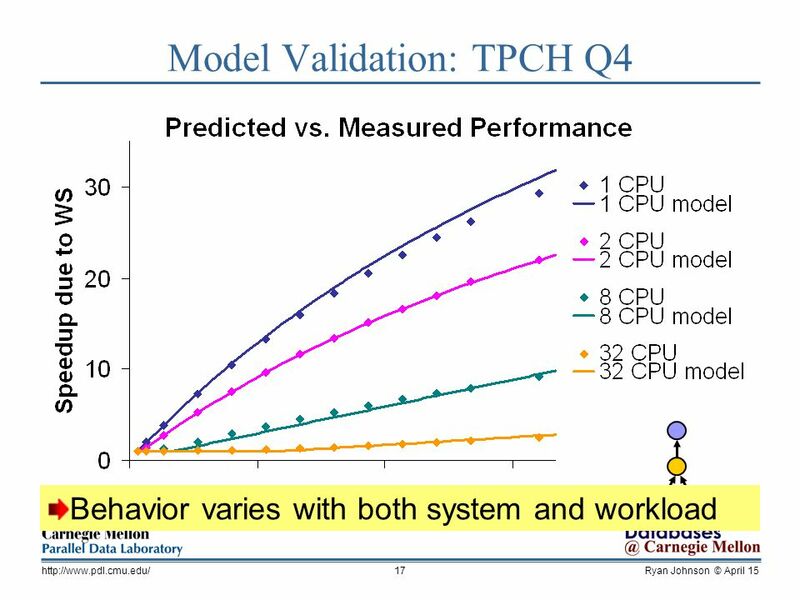 Performance of Multithreaded Chip Multiprocessors and Implications for Operating System Design Hikmet Aras 2006720612.